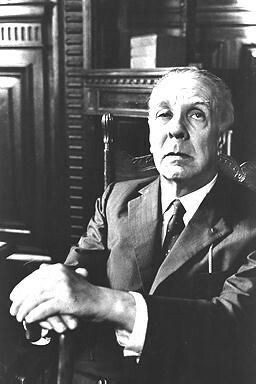 Jorge Luis Borges was one of Argentina’s most prolific authors. His writing is centered on themes such as time, infinity, mirrors, mythology, identity, the labyrinth and the city amongst others. His bilingual background, the origins of his family and his time spent living in Europe and then returning to his native Buenos Aires reflect in his writing where there is a confluence of European influences and the native imagery and characters. This combination perfectly expresses the local social and cultural construct whilst his metaphysical influences draw you into a dreamlike abstract tour of the city he both knew and imagined. For more on Borges you can visit the Centro Cultural Borges where a new permanent exhibit was inaugurated commemorating the 25th anniversary of his death. Included in the display are some of his drawings, his books and creative process, a map of the places in Buenos Aires which influenced him, photographs, and other elements of the Borgean imagery. To get some of his books in English, head to the Kel bookstore in Recoleta. This entry was posted in Argentine Culture, Where to Go, What to Do and tagged argentina, authors, buenos aires,, exhibits, Jorge Luis Borges, reading, south america, Travel, writing by Fierro Hotel Staff. Bookmark the permalink.